Shannon Duley has always gravitated towards creating. She studied Industrial Design at Georgia Tech, where she was challenged to fuse form and function in the most minimalist way she could manage. 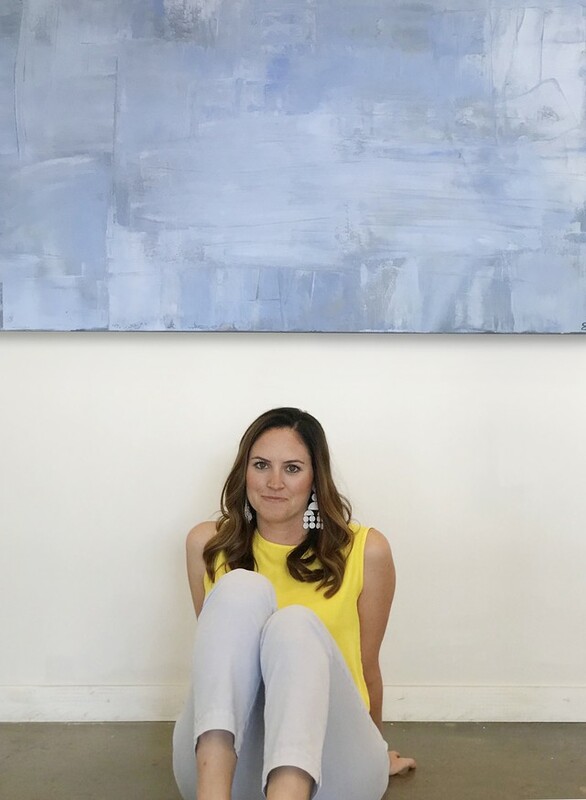 After spending seven years in a corporate marketing & design job, she joined Gregg Irby Gallery as the marketing lead in 2018. 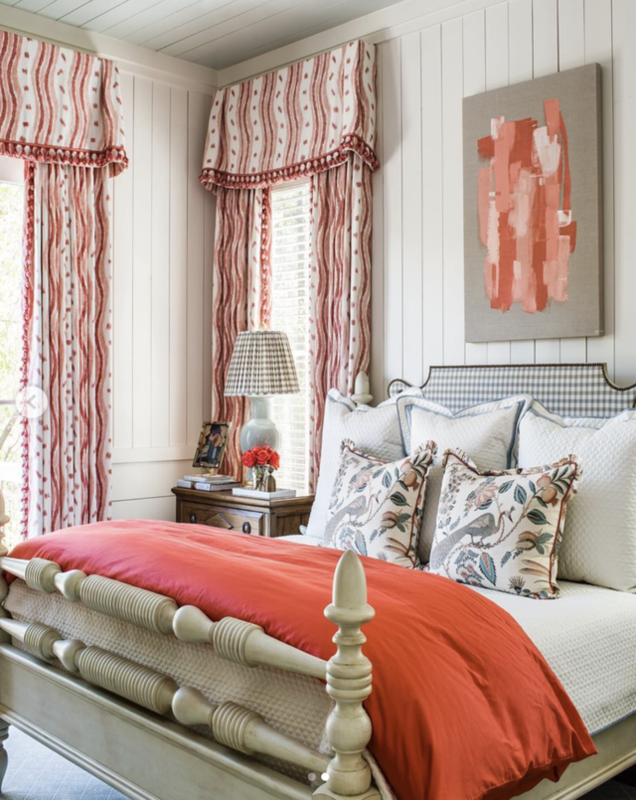 Shannon has enjoyed not only having the privilege of seeing her work featured in national publications and beautiful homes, but also getting to land these opportunities for her well-respected contemporaries at the Gallery. 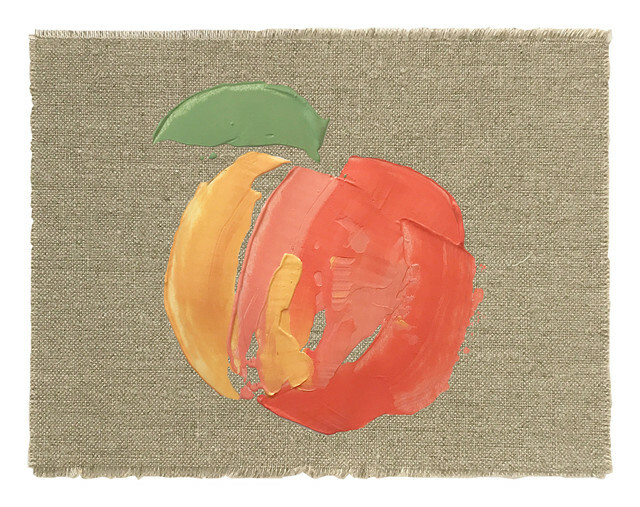 Shannon works out of her home studio in Virginia-Highland and is known for her distinguishable works on raw linen. Her cheery & bright aesthetic brights light and life to the spaces in which her paintings live. Shannon's most recent collection, "Winter Whites", is a series of monochromatic shades of whites, grays & creams on raw linen & canvas. 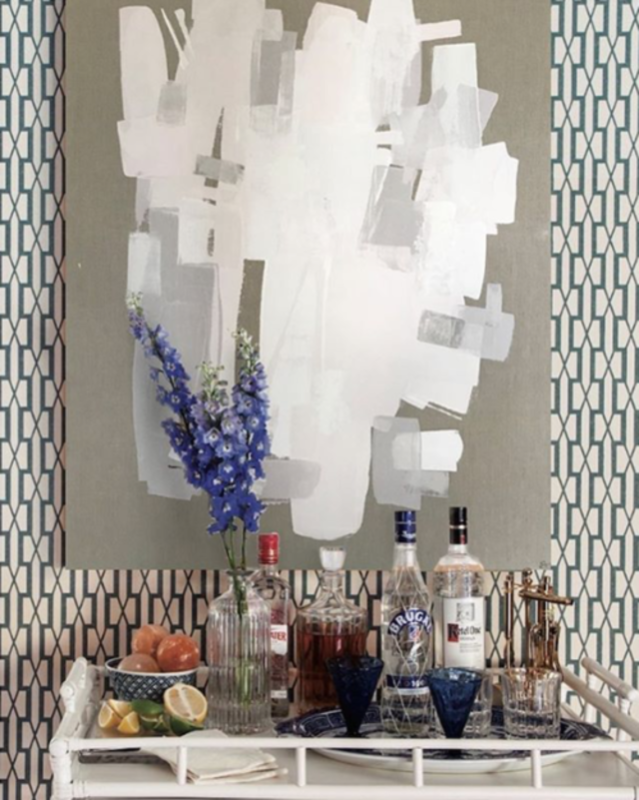 You can shop available works on her website -- all of her work is exclusively available at Gregg Irby Gallery. "Paprika" featured in Garden & Gun magazine, designed by Mallory Mathison Inc.
Look for artwork from Shannon in the form of a postcard in your PeachDish box next week! Want to see more? Visit shannonduley.com, and follow Shannon on Instagram @shannonduley! When you choose PeachDish, you support artists! We strive to connect people with food through good food experiences, and while we recognize that these experiences happen primarily in the kitchen, we challenged ourselves to stretch that connection across new and unexpected mediums. These postcards offer a brilliant way to showcase foods and tradition while also shining a light onto remarkable artists around the nation, and we encourage you to share these special postcards with friends and strangers to spread the love and the good food movement!